My upcoming book, Honor, features a Quaker heroine of that name who is fired with a desire to benefit the lives of others. She was not alone in her time. Quakers are not as unusual or distinctive now as they were in the 18th and 19th centuries. 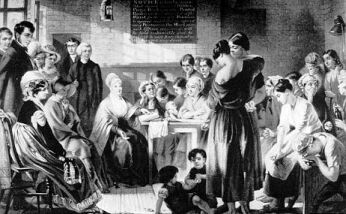 Then the Quakers were at the forefront of social reforms that most of us take for granted now. Elizabeth Fry made a difference in the lives of thousands. Here is a video that introduces her and her Quaker faith. If you’d like to learn more about Elizabeth Fry and her faith, click here. 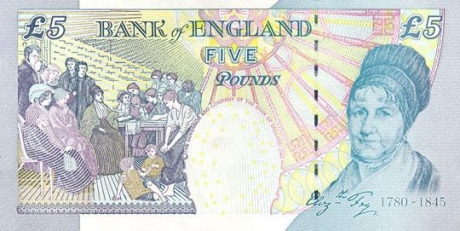 Elizabeth Fry’s memory was honored in 2005 by her being depicted on the British five pound note. Here’s another source of information on the life of Elizabeth Fry. This entry was posted in Interesting History, Quakers and tagged abolition, social reformers. Bookmark the permalink.